Bluetooth Speakers have paved the way for outdoor parties, pool, parties, outdoor projectors, and other activities requiring sound. Years ago, people need to have a complete set of amplifiers and speakers that need to be plugged into outlets. The cables and wires are very disturbing and some may cause electrical faults. However, because of massive technological advancement, speakers that do not require wires and cables have emerged. These Bluetooth Speakers have risen into fame because of their ease of use, convenience, and high-quality sound performance capabilities. When it comes to Bluetooth speakers, it is best to consider the combination of wattage (which must be above 20 watts), size, and volume that can create a very loud sound. Experts have claimed that these factors are important if you want to have a speaker that can ensure to deliver high-quality sound with a detailed midrange, crisp highs, and booming bass. Since Bluetooth speakers are not being plugged into outlets, it is important to make sure that they have long battery life for optimal use. It is important for a Bluetooth Speaker to have a great battery life particularly if the speaker has high wattage which can consume more power. When producing high, drastic, and loud sounds, battery life can come into play. The louder the sound a speaker produces, the more it increases battery and power consumption leading into a shorter amount of time a speaker can be functional. Since there is a wide range of speakers to choose from, make sure to select the one that has a good balance of performance, power consumption, and portability. Bluetooth speakers are designed to be used conveniently, that is why it must be portable so that users may be able to carry it with them. Speakers must be portable and compact enough to be carried for outdoor parties and activities. The Aiwa Exos-9 Portable Bluetooth Speaker is one of the loudest Bluetooth speakers with great powerful sound in the market today. The Exos-9 Speaker can give off a massive sound of 200 watts of power with five high-performance acoustic drivers that include a 6.5 inches dual-voice subwoofer guaranteed to deliver excellent stereo sound. You can experience optimal sound quality by operating the mids which are crisp and highs which are not overbearing, the bass which is powerful and not muddy, the graphic equalizer, or the pre-set EQ setting that can suit your sound performance. The Aiwa Exos-9 Portable Bluetooth Speaker is also capable of giving a distortion-free sound with deep bass that you can actually hear from the Bluetooth Speaker. It features the latest wireless connectivity, A2DO support, and Android NFC streaming. It can also support a 3.5mm audio jack if you want a direct connection form a non-wireless device. The battery of the Aiwa Exos-9 Portable Bluetooth Speaker has a 57.2Wh lithium ion which can be recharged anytime with 9 hours of continues playback. 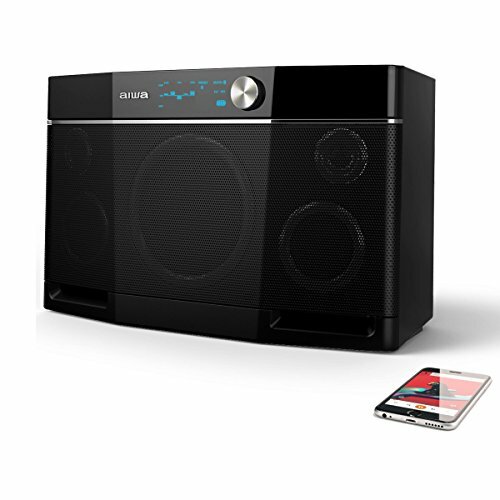 The Aiwa Exos-9 Portable Bluetooth Speaker can literally shake a house without distorting the sound. If you want the loudest speaker with an amazing sound performance, then the Aiwa Exos-9 Portable Bluetooth Speaker is the perfect choice for you. It is perfect for working in the yard, outdoor parties, camping, and more. The Sound Appeal Weatherproof Patio Speaker is a wireless speaker system that can be used both in indoor or outdoor activities. It has a long range CSR Bluetooth with version 4 technology that can automatically reconnect to your device when in range. It has 80 watts Class D amplifier that can easily fill your outdoor with excellent sound. The Sound Appeal Weatherproof Patio Speaker uses upgraded polypropylene cone that comes with the high-efficiency motor build to offer improved and clearer bass response. This speaker is perfect for pool parties, outdoor activities, and home theater entertainment. The weatherproof feature is designed with black UV-resistant case. 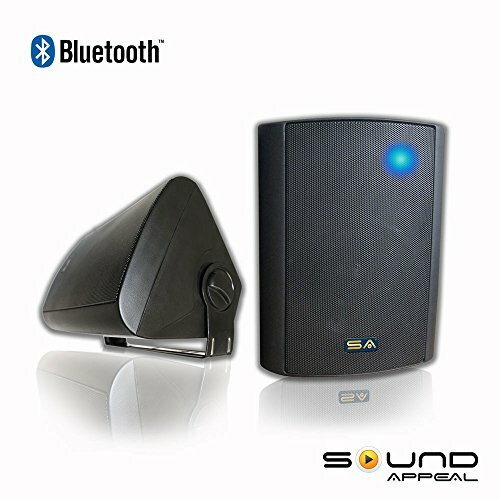 The Bluetooth 5.25 Weatherproof Patio Speaker from Sound Appeal is an excellent choice for a loudspeaker. It has long version 3.0 long-range Bluetooth technology. 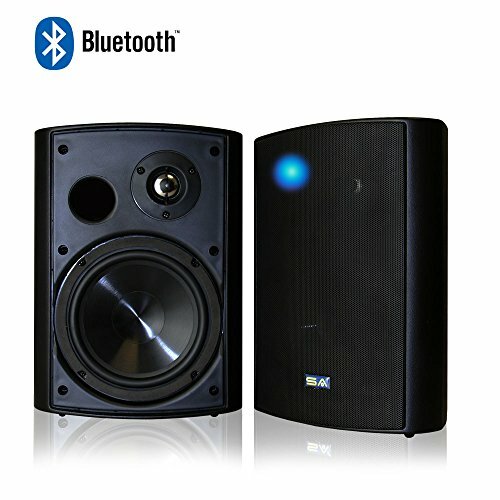 This BT Blast Speaker lets you stream music wirelessly directly from your compatible devices such as mobile phones up to 60 feet range. You can fill your pool or backyard area with this high fidelity Bluetooth speaker and still control the volume and other settings right at your fingertips. Bring your outdoor parties into a louder level without the hassle of long cables and wires with the BT Blast Speaker. This speaker comes with a weatherproof casing with a sophisticated white finish which is made of durable ABS material. The internal cabinet is made of thick walls and with rigid bracing to protect the speaker from unwanted resonances, giving off a clear and clean sound performance at all levels. The BT Blast Speaker has a 5.25 inches’ woofer driver that can give good vocals and good bass while maintaining a high level of fidelity. It also has a 1-inch dome tweeter that can keep the highs very smooth without the harshness while having vocal articulate and clear. Bluetooth Speakers continuously dominate the market today. With the aid of technology, many people are venturing into wireless technology such as Bluetooth Speakers in order to eliminate the hassle and stressful cables and unnecessary wires, especially during events and activities. High quality and loud Bluetooth speaker must have a powerful audio driver with are engineered to pump out tons of audio with minimal distortion and provides crystal clear sound. For a buyer, it is important to keep in mind several factors when buying a loud Bluetooth speaker. Since many manufacturers are producing top-notch quality, be mindful to check the specifications of each desired product to suit your taste before spending your money.